EDITOR'S NOTE: Alexander Salinas is a senior nursing student at the University at Buffalo. 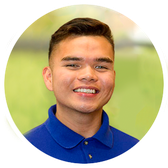 He is the Multicultural Nursing Association president, and is a research assistant for a study on chronic pain and opioid use and a study on obesity prevention. There was a time when milking chest tubes and bathing children in alcohol were standard practices. Although at the time the nursing interventions may have seemed rational, evidence-based practice has proven otherwise. For example, during one of my clinical rotations, a seasoned nurse corrected me for not aspirating a syringe during an intramuscular injection. Current evidence-based research suggests aspirating intramuscularly is no longer a standard of practice since there is no evidence to support it and it can cause more trauma to patients. One of the key points we learn in nursing school is to be a generation that provides high-quality care that is supported by evidence. Evidence-based practice is defined as a clinical decision-making process in which clinicians use their clinical knowledge and education while implementing conscientious and judicious use of theory-derived, research-based information about care delivery to patients. Consideration of individual needs, preferences and resources must also be included in the process. EBP replaces policies and procedures based on other sources of evidence such as tradition or authority. It takes into account three things nursing students should consider at all times: best practice evidence, patient preferences and clinical expertise. Here are just a few examples of how EBP has changed nursing care. You can find many more examples in the literature. The evidence-based interventions we learn can improve patient outcomes, help to provide high quality care, reduce costs and eliminate practices that have become obsolete or are not effective. As nursing students and future nurses, we hold a promise of continuous learning, and it is essential to build evidence-based knowledge over time. As students, it is never too early to start thinking like a nurse who is driven by evidence-based practices. The BRAT (Bananas, Rice, Applesauce, and Toast) diet is no longer a nutritional recommendation for gastrointestinal upset since these food lack nutrients that are needed. It is now recommended by the American Academy of Pediatrics to restore the child to a well-balanced diet as soon as possible. Nurse-driven protocols now guide nursing practice regarding the best time for removing urinary catheters to prevent urinary tract infections. Aspirin was previously used to control fever in the pediatric population but it is no longer a standard practice because it increases the risk of Reye’s syndrome. One of my clinical assignments each semester is to find new evidence-based practices that can help nurses on the unit improve care. Not only do we as nursing students have the power to educate staff, we also can serve as a great resource, helping staff to provide better care and improve patient outcomes. As a student, you can suggest implementing evidence-based practices as a standard of practice. Embrace its positivity knowing it will help the care of your patients. You can print out evidence-based practices for your unit and perhaps leave it at the nurses’ desk or in the break room. Start a journal club or join one and come together with nurses who are willing to bring change to the units where you work. Turning patients every two hours is no longer a standard of care. The timing for turning patients should be dependent upon their condition and their risk for skin breakdown, for example, one patient may need to be turned every 15 minutes and another patient may need to be turned every hour. You probably will notice on the units where you work there are specialty populations and patients with similar diseases. To provide a higher level of care, look up evidence-based practices for that particular population. Hospital units or your university library usually have nursing databases to search for specific journal articles.